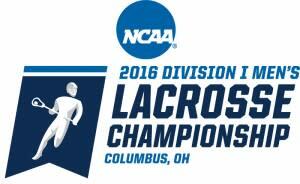 Tickets for the 2016 NCAA Men’s Lacrosse quarterfinal games May 22 in Ohio Stadium are on sale now. This will be the first time Ohio State and Columbus will host the quarterfinal round. The men’s lacrosse team hosted a first round match at Ohio Stadium in the tournament in 2013. Two games will be held in The Shoe, with times to be announced at a later date. All tickets include both games. General admission tickets are $25 for adults and $15 for child/senior. Reserved club seating is available for $30 for adults and $20 for child/senior. Tickets for groups of 10 or more are available for $10 each and may only be purchased by contacting Kris Adams at 614-292-8098 or adams.1885@osu.edu. Tickets can be purchased at the Ohio State athletics ticket office in the Schottenstein Center or through Ticketmaster via phone, online and their outlets. Service fees may apply.